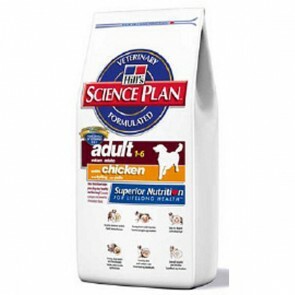 Hills Science Plan Dog food is a Veterinary recommended range of complete dog foods, with a formula for each stage of your dog's life. It provides a Nutritionally Balanced Diet, with an appropriate level of Protein and Reduced levels of Phosphorus, Fat & Sodium. It contains No Artificial Colourants, Flavourings or Preservatives Added. Hills science plan: 5 stars out of 5 based on 1 user reviews.